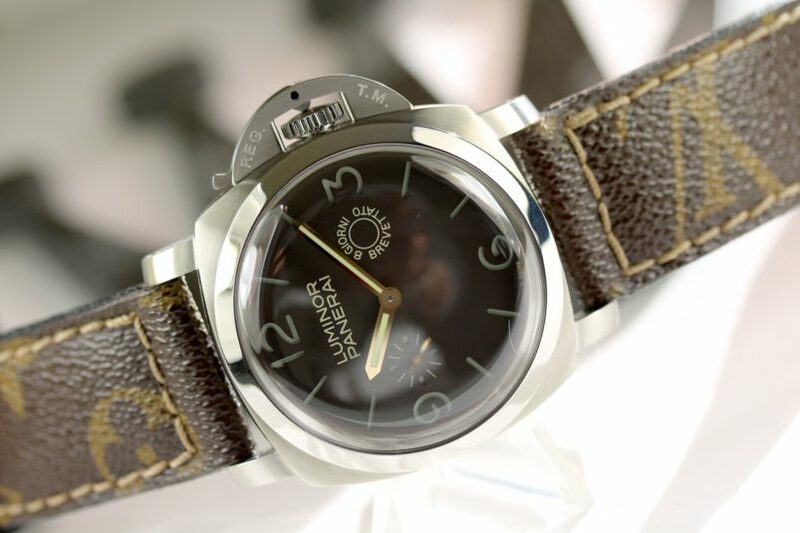 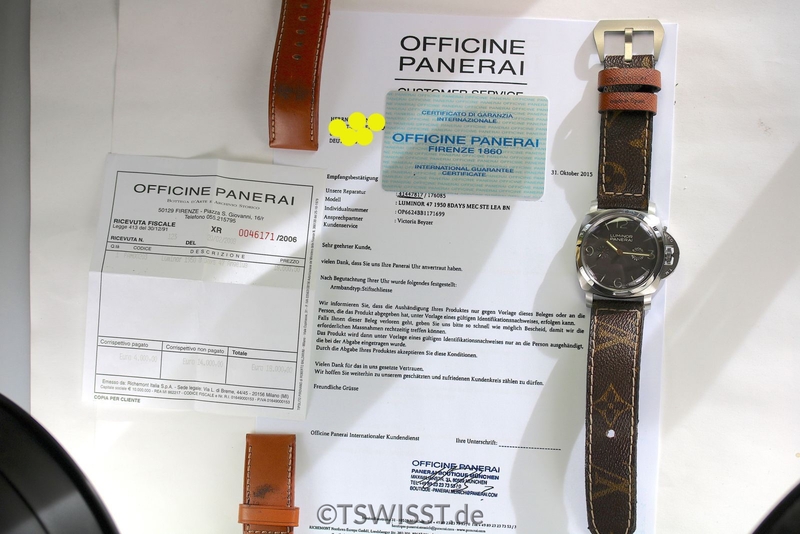 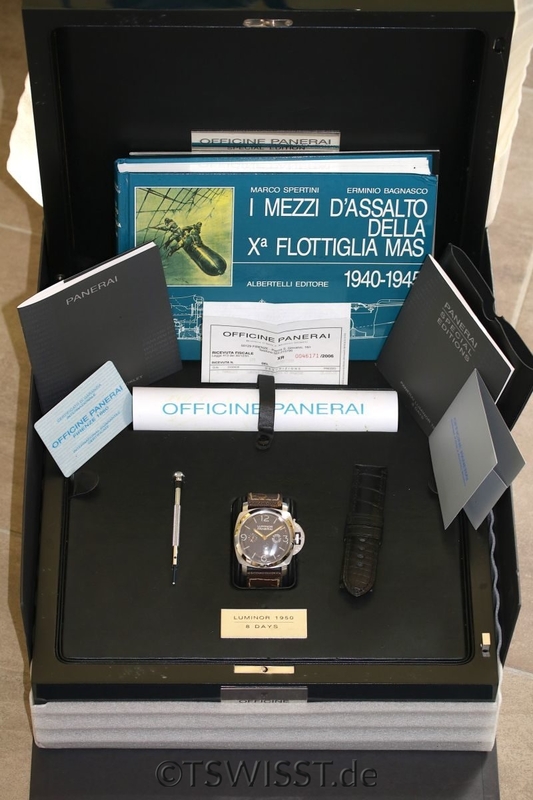 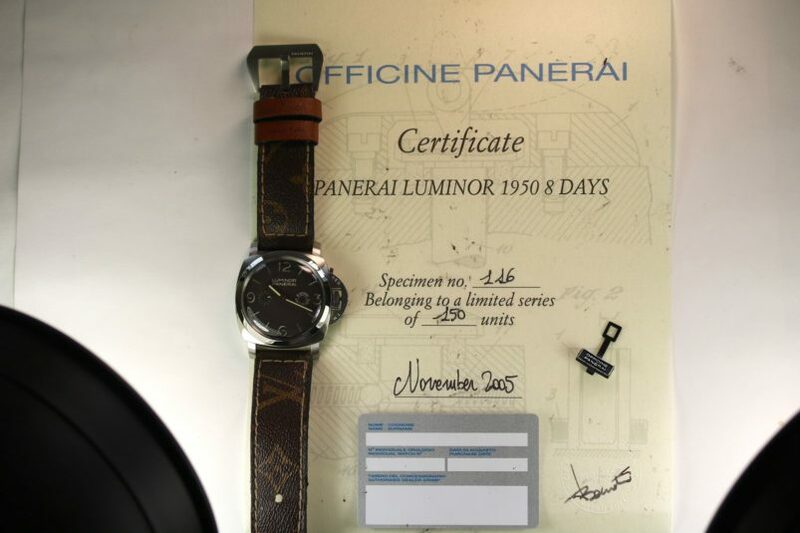 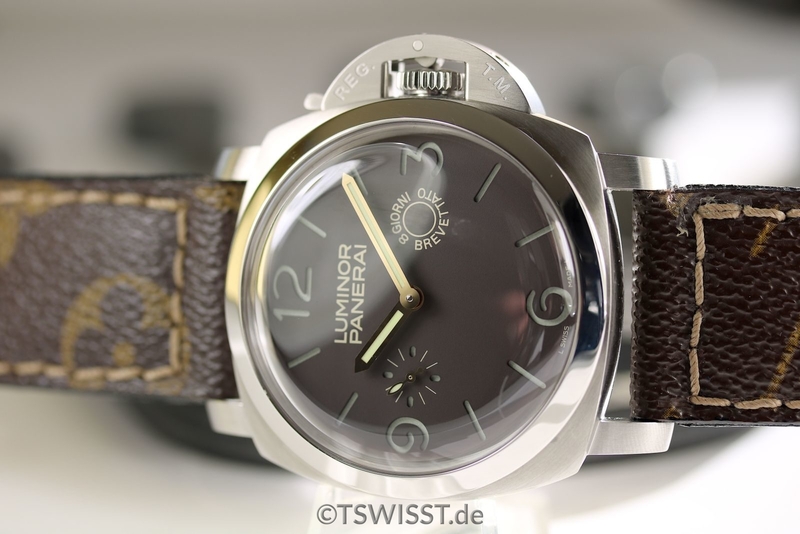 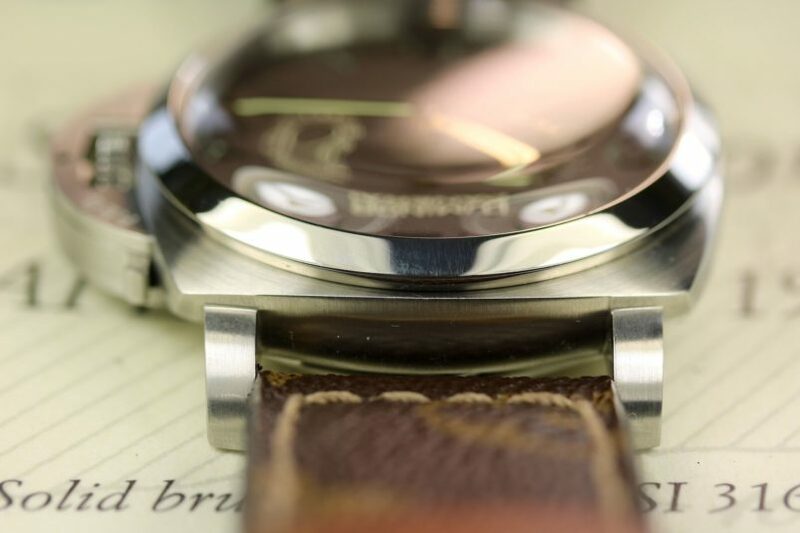 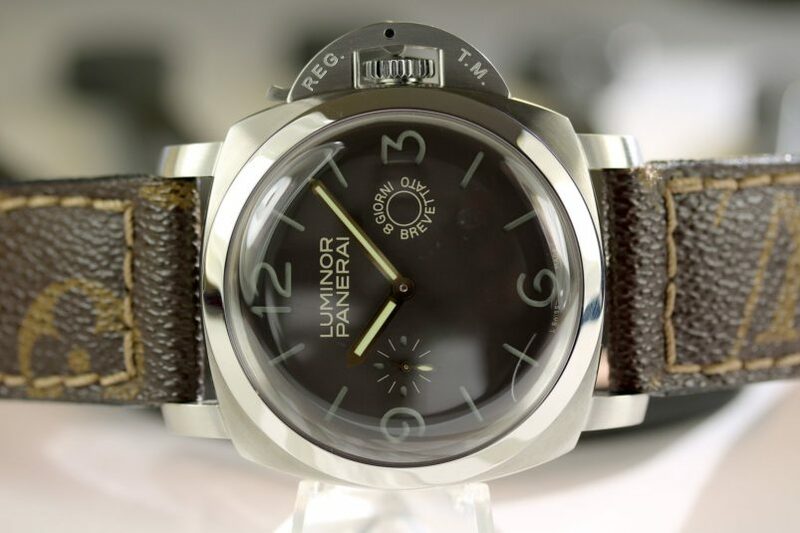 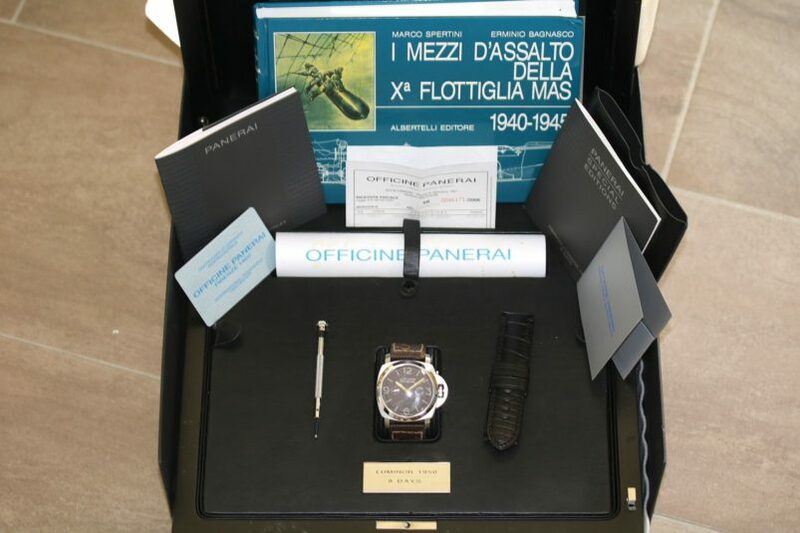 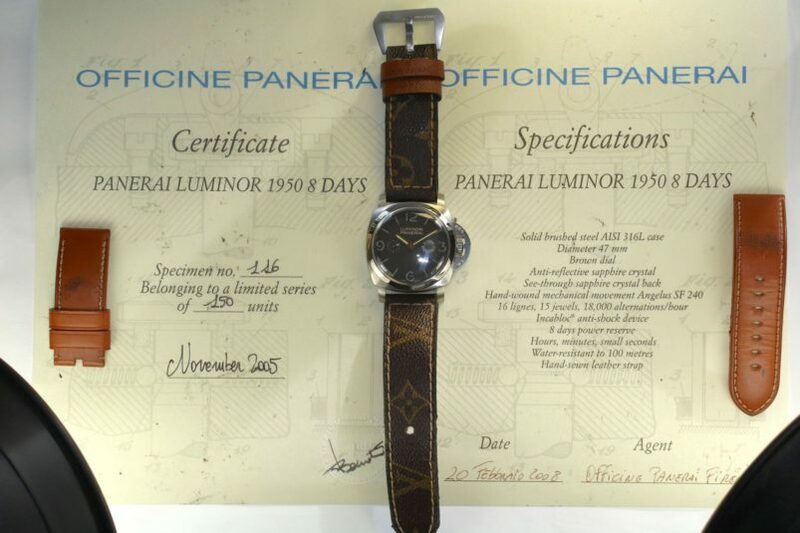 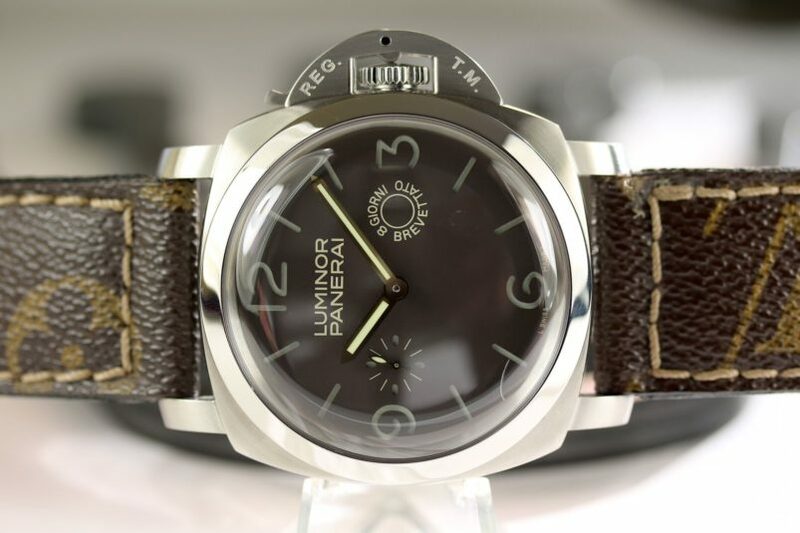 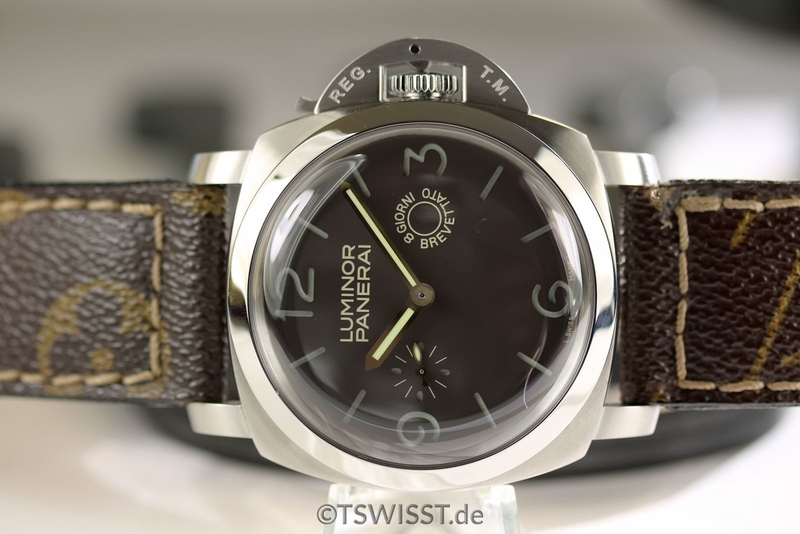 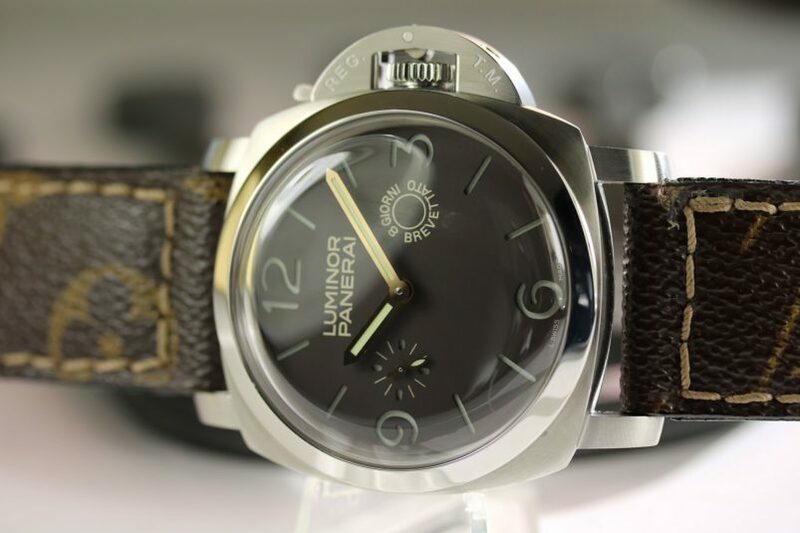 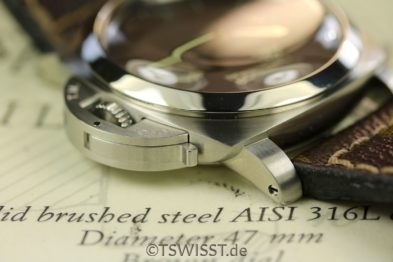 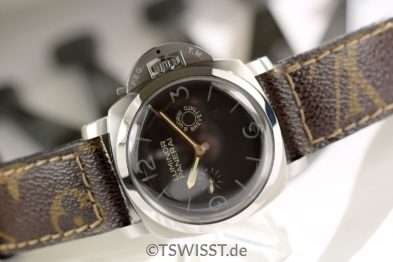 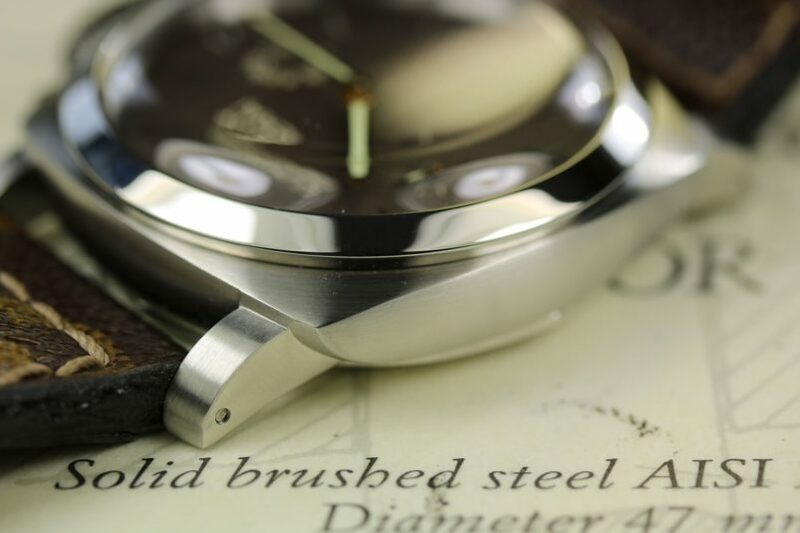 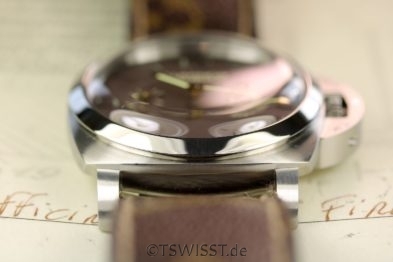 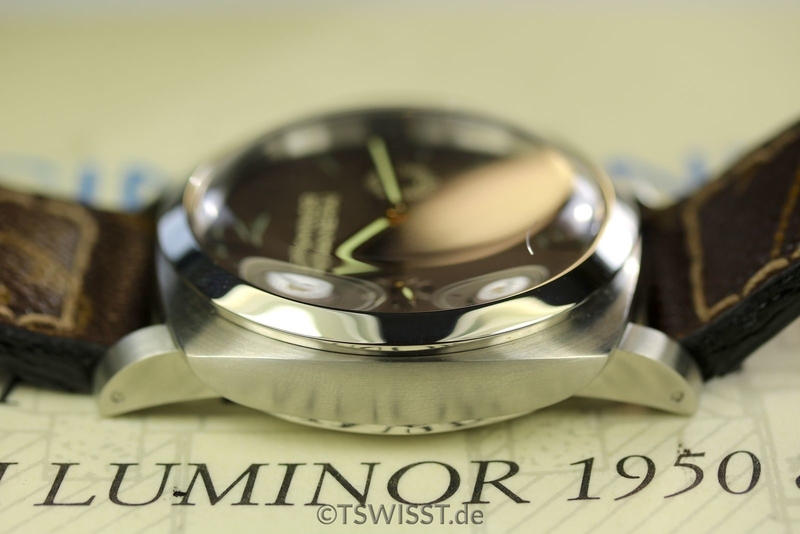 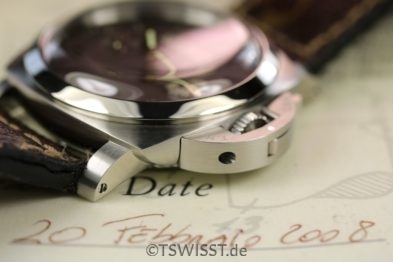 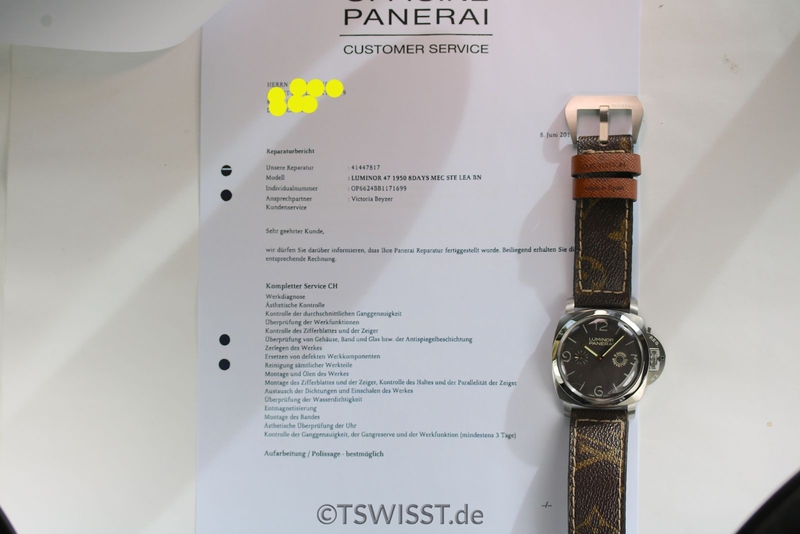 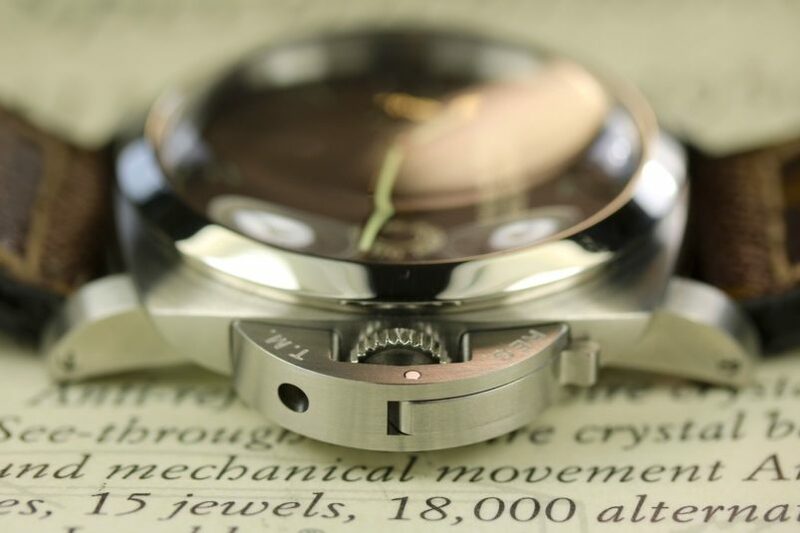 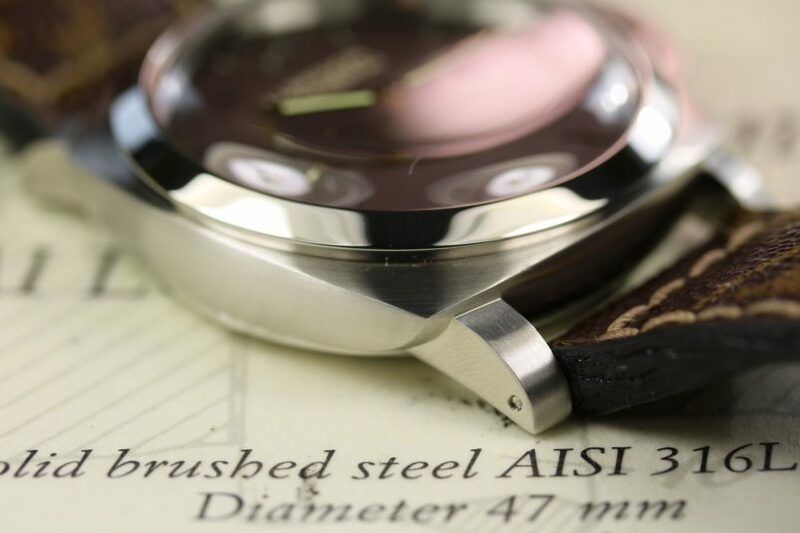 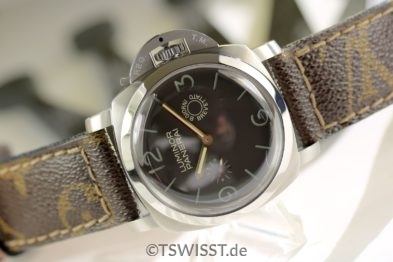 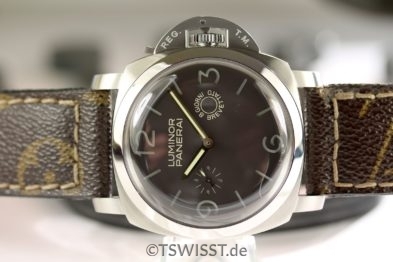 Panerai 203 8 Tage Angelus full set! Paneristis muß man nichts mehr erzählen über diese Uhr…es ist DIE SE, die auch heute noch begehrt ist, neben der Fiddy. 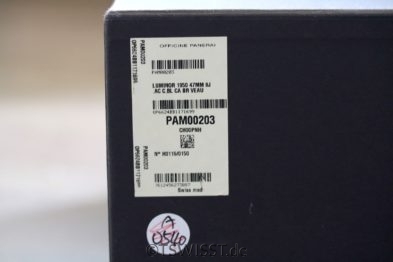 2005 für ca. 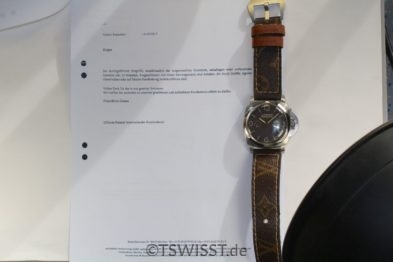 18000 Euro zu haben…. 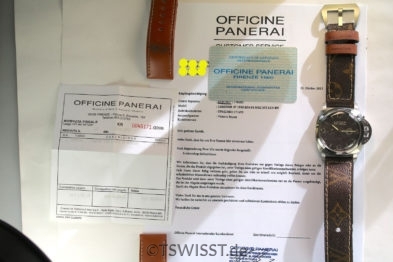 Here is a complete set down to the original sales receipt, the mounted strap is NOT included in the sale. 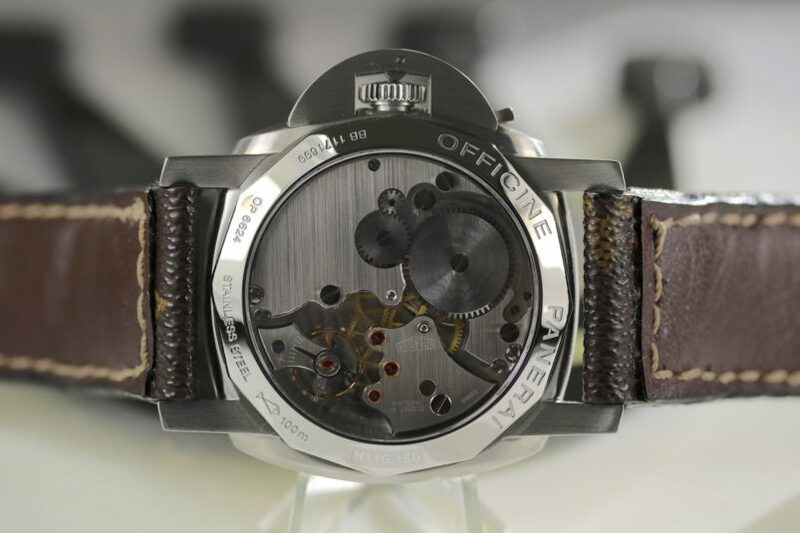 Both original straps are unworn but the brown one suffers from a deterioring box…watch was barely worn but has a small scratch on the crystal at 7 o´clock- well, I think I priced that in. The 203 was at PAM service in 2016 as shown for over 1K Euro despite it was barely worn. 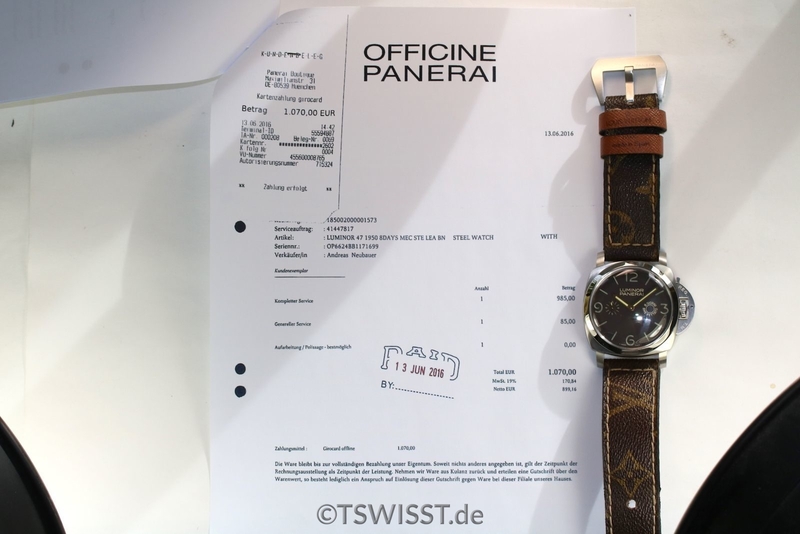 This invoice is included as well.